How should online privacy be regulated? Currently, Internet platforms, mobile applications, and online ad networks allow consumers to “opt-out” of having their data collected for marketing purposes, with the Federal Trade Commission utilizing a variety of tools to ensure these service providers act reasonably in protecting consumer’s privacy and personal information. 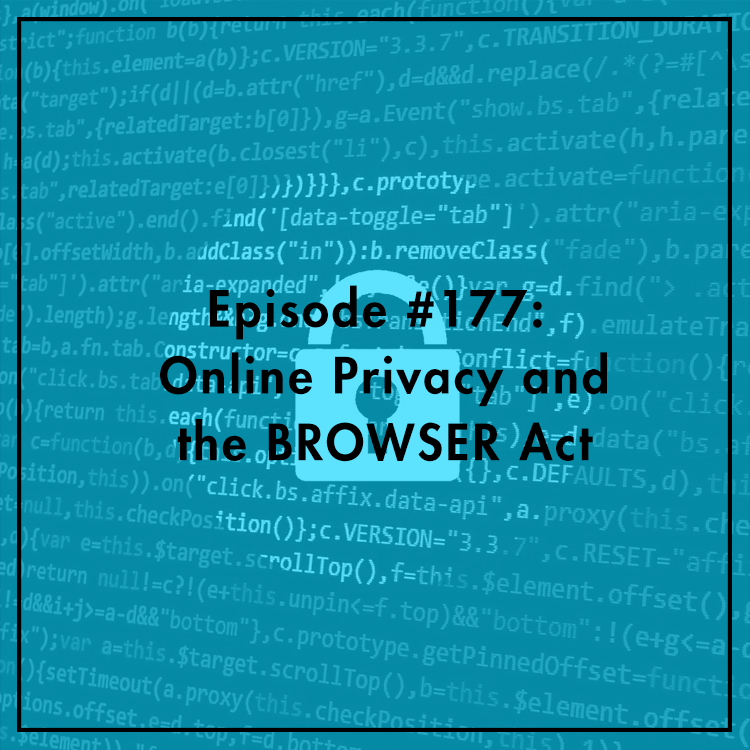 Recently, Rep. Marsha Blackburn (R-TN) introduced the BROWSER Act, which would regulate privacy much more strictly, similar to the “opt-in” regime seen in Europe. More privacy protection always sounds good, in theory, but could the bill have unintended consequences for our Internet economy? Evan and Berin discuss.